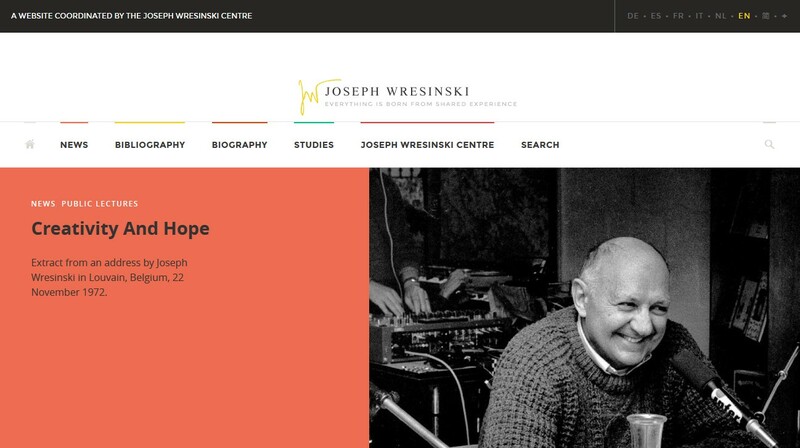 Centenary of the Birth of Joseph Wresinski (1917-1988)! Come and join us to make this centenary, a day of action! on Custom House Quay to pay homage to Wresinski as initiator of the UN Day for the Eradication of Poverty and launch of the campaign “We are ONE to STOP POVERTY”! of the “Wresinski Legacy” travelling exhibition. Wresinski was born in France in 1917. 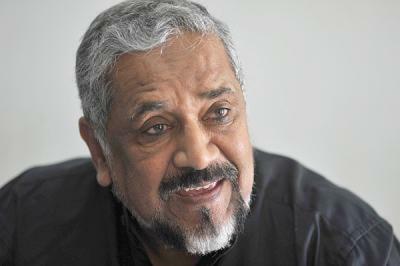 He grew up in a poor neighbourhood, where his family experienced extreme poverty and social exclusion. He became a priest in 1946, at the age of 29. In 1956, Wresinski’s bishop suggested that he becomes the chaplain of a camp for the homeless on the outskirts of Paris. Here Wresinski was struck by the terrible poverty faced by the families. Having never forgotten the feeling of shame and exclusion experienced during his own childhood, Wresinski vowed to make his life one with the families of the homeless camp. With the help and support of these families, Wresinski founded All Together in Dignity what is now known as the ATD International ovement. An organisation that works with and learns from those who face persistent poverty. In 1987, a few month before his death, Wresinski initiated a Human Rights Defenders rally on 17 October 1987. Later this day was recognised as UN Day for the Eradication of Poverty. What are the main elements of the Wresinski Legacy? In a renewal of its international leadership, ATD will see Isabelle Pypaert-Perrin bring her wide-ranging experience to a second term as Director General, while three new Deputy Directors – Bruno Dabout, Álvaro Iniesta Pérez, and Martine Le Corre – will join her to take up responsibilities as of January 2017. 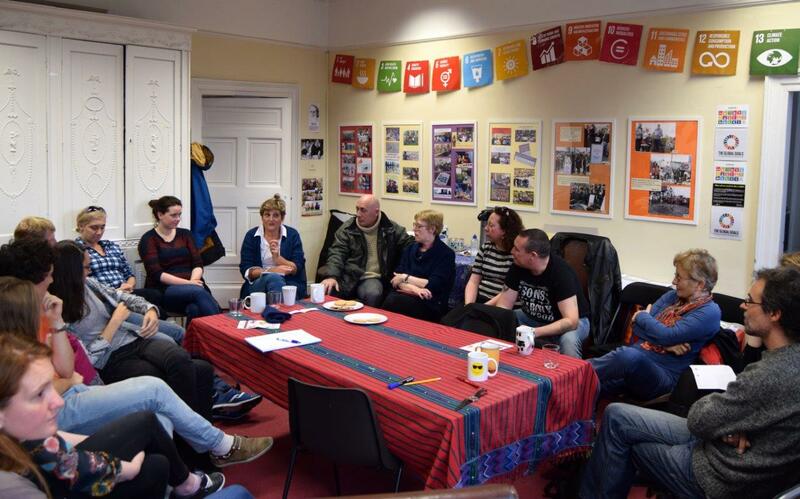 ATD Ireland volunteers already had the opportunity to meet 2 members of the new ILT. Isabelle and Alvaro were in Dublin on 17 October 2016 to mark the UN End Poverty Day! Martine Le Corre is from Normandy in the north west of France. Not yet 18 years old when she first encountered ATD, she has been a Fourth World Activist ever since. Meeting ATD founder Joseph Wresinski and other members of the ATD Volunteer Corps was a turning point in her life. They encouraged Martine to take part in their efforts to end poverty and exclusion. Wresinski shared with Martine his hope that people living in extreme poverty would become activists who stand up for others who are even worse off. 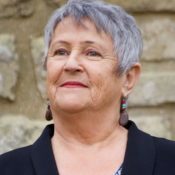 Martine has been involved in a number of international action-research projects with ATD Fourth World, notably around the Merging Knowledge process. From 2009-2012, Martine was part of the facilitating team for the research initiative “Extreme Poverty is Violence – Breaking the Silence – Searching for Peace.” She also helped facilitate ATD’s recent research and seminar on governance. From those first encounters with Joseph Wresinski, Martine has maintained an active presence in her native region of Normandy. This has allowed her to build strong ties with people struggling daily to overcome poverty. A vital mainstay for Martine these last several years has been running the Fourth World People’s University in her city of Caen. She looks forward to devoting her full energy to her new role in ATD’s ILT. Bruno Dabout is from France. Passionate particularly about education and the economy, Bruno is motivated to change the world in partnership with people living in extreme poverty. Bruno joined the Volunteer Corps in 1983. With his wife Pascale, also an ATD Volunteer, and their two children, they have spent nearly half of their time with ATD in low-income, under-resourced neighbourhoods in Paris, Thailand, and the USA. They have also held responsibilities in ATD’s centres for training, research, and advocacy. 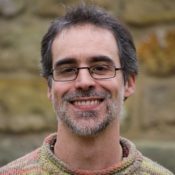 Bruno has led grass-roots projects involving children, young people, and adults living in poverty. 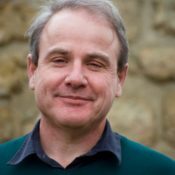 He has worked on ATD’s international administration and finance, and helped facilitate ATD’s organisation-wide evaluation and planning. After a year with ATD in Madrid, Álvaro worked in Caen in the north of France where he learned more about the organization’s work from Martine Le Corre (see below) and other long-time ATD activists. For five years, Álvaro, Marina and their children lived in a low-income housing complex called the “City of Birds”. Álvaro took a low-paying job as a way of better understanding the difficulties many of his neighbours faced. He discovered an economy that was totally neglectful of people’s wellbeing and saw first hand the urgent need for economic reforms that would provide greater prosperity for more people. In 2008, Álvaro and Marina moved to Guatemala, where Álvaro’s responsibilities included the “Working and Learning Together” project. Returning to Spain in 2013, Álvaro joined ATD’s national coordinating team there. What sustains him in his work, Álvaro says, is the solidarity he sees among families in poverty, and their efforts to build peace. Isabelle Pypaert Perrin is a native of Belgium. She joined ATD Fourth World’s Volunteer Corps in 1981 and has since worked in many different countries in addition to her native Belgium. She has helped build ATD Fourth World in a number of different cultural contexts in Europe, Central America, the Caribbean, and Asia. Particularly formative for Isabelle was the opportunity to be in ATD founder Joseph Wresinski’s secretariat for several years. Through her work with him, she saw how ATD’s people-centred work grows, person by person. 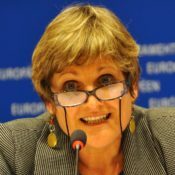 Isabelle first joined the ILT in 2008, alongside Eugen Brand (Director General) and Diana Skelton. She took on the role of Director General in 2012, in partnership with team members Jacqueline Plaisir, Diana Skelton, and Jean Toussaint. A diverse 20-member committee nominated the new leadership team after wide consultation with people around the world who are involved with ATD in a variety of ways. Below are short portraits of each member of this new International Leadership Team. Together with ATD International’s Board of Directors, the Leadership Team (ILT) is responsible for coordinating the organization worldwide. They help spark creative initiatives and work to support all ATD members, particularly those whose involvement is a long-term commitment. The ILT promotes the cohesion of ATD’s planning, projects, and public message, ensuring that members living in extreme poverty remain at the heart of all initiatives. 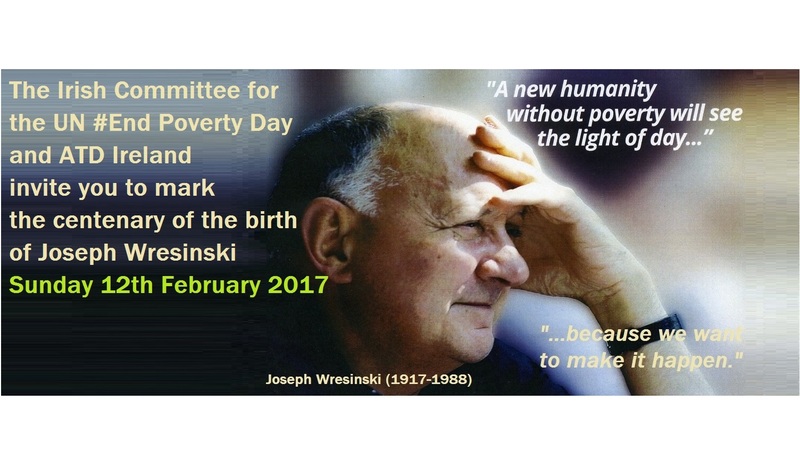 2017 is the year of the Centenary of the Birth of Joseph Wresinski, the founder of ATD Ireland. ATD will mark this centenary in many ways. Events, exhibitions and workshops will be organised between the 1st January and the 17 October 2017 to promote the legacy of Joseph Wresinski. From the 1st of January 2017, a new website about Wresinski’s approach to Human Rights and poverty issues will be available on-line. Between the 1st January and the 12th February 2017, the website will be tested by citizens all around the world! 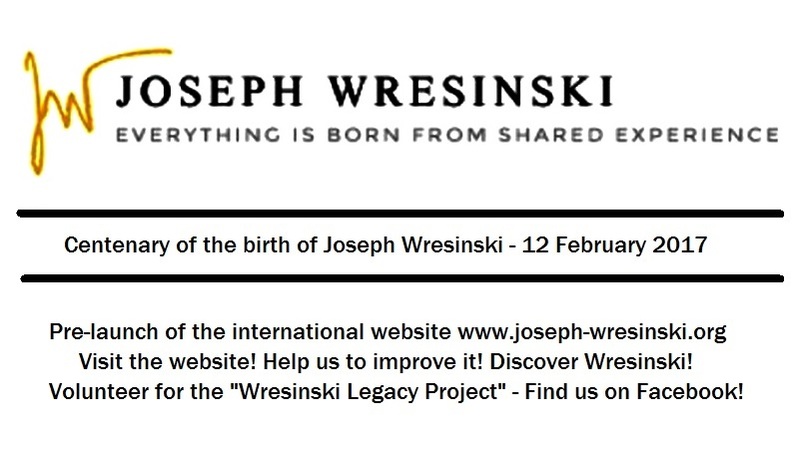 Discover www.joseph-wresinski.org, comment it, help us to spot the “bugs” and the spelling mistakes! Contact us if you want to volunteer to help us to post more texts, pictures and videos! Translators from French to English are most welcomed! The Wresinski Legacy project is co-funded by the French Parliament (grant of the “Réserve Parlementaire” of French MP Christophe Premat) and the Foundation ATD (Paris, France). What if we lived in a society without poverty and social exclusion? What if everyone who sees poverty as inevitable decided to speak out and do something concrete to end it? Last year, the international community adopted the United Nations’ Goals for Sustainable Development. The first of these goals is ending extreme poverty by 2030, making sure to leave no one behind. People and institutions everywhere should insist that this plan be put into action and do what they can to help achieve its goals. In 2016, a number of political movements claimed to speak on behalf of people who feel excluded from mainstream society. These movements invoked people’s suffering in order to instill fear, to call for walls to be built, and to reject foreigners. Too often throughout history, poverty has been used as a means of promoting fear, resentment and violence. The United Nations has since recognized 17 October as the International Day for the Eradication of Poverty. 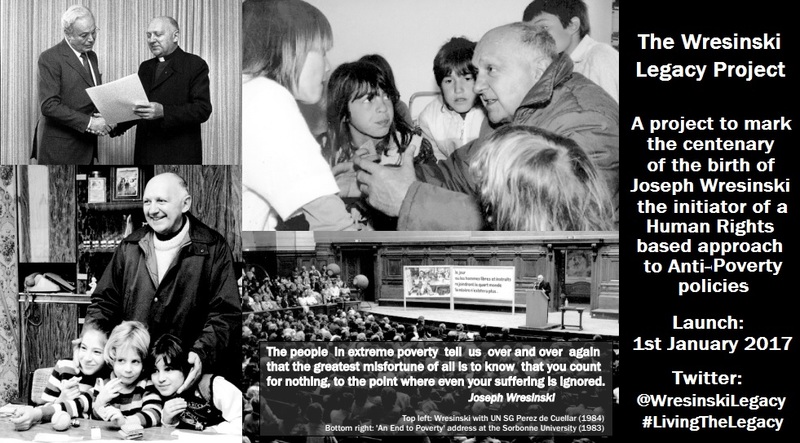 The man who launched this initiative, Joseph Wresinski, was born into poverty in 1917 in a French camp for unwanted immigrants. As a child, he discovered what many other children in extreme poverty learn all too soon. In 1957, along with 250 families in a homeless camp outside Paris, Wresinski started a movement that soon became international. ATD Fourth World began working to end the useless waste of people’s lives caused by poverty. As this movement grew, thousands of people in disadvantaged communities all over the world recognized themselves in Wresinski’s story of growing up in humiliation. They also shared his dream of one day achieving a world without poverty. I believe in a world without poverty. Poverty is a form of violence. It humiliates and silences. It destroys lives. But poverty is not inevitable. Those who endure poverty resist its injustice in countless ways. If we are to confront the challenges facing the world today, we need their intelligence and courage. The world must refuse to accept poverty and the waste of human potential that it represents just as we refuse to accept slavery or discrimination. Today, people who feel outcast are making themselves heard and are taking action. Others are joining them to build a peaceful world where no one is left behind. Best wishes to everybody for 2017!